When the iPhone launched nearly six years ago, a startup "bubble" emerged, as thousands of app makers vied to land in consumers' pockets. The smartphone platform provided huge opportunities for startups looking to be the next Google (GOOG) or Facebook (FB). It was a sandbox for innovation anyone could play in. Smart, creative nerds with good ideas and timing could find quick success. Venture capital was pouring in and the race to have the best photo sharing app, the best location app, or group messaging app was intense. Today, the nature of the game has changed. Startups are growing up and beginning to mature. The playground has become extremely crowded, and the investments poured into smartphone apps are beginning to dry up. That's why many entrepreneurs are shifting gears. "We're far beyond apps," said Path CEO Dave Morin. "We've got people talking about 3-D printers. People are talking about sustainable engine technology. We've got people talking about defense and drones." Smartphone apps aren't going away. But as the lines between hardware and software continue to blur, the wild west of innovation is no longer limited to a mobile interface. "The smartphone will continue to be sort of this central hub -- the way we touch base with things," said Matt Galligan, co-founder of news aggregator Circa. A number of entrepreneurs are literally building upon the smartphone concept, creating wearable computing devices that wirelessly connect with a mobile device. 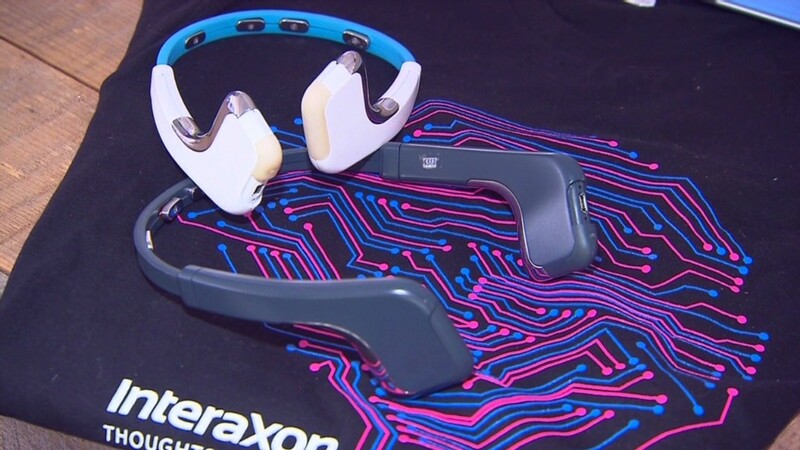 At this year's South by Southwest technology festival, an annual gathering of startups that tend to define the latest tech trends, entrepreneurs showed off bracelets that connect with a smartphone to measure sleeping patterns and headbands that monitor brainwaves. Attendees were found sporting cameras attached to their shirts, tracking devices on their wrists and bracelets that measured their health. Other startups have abandoned consumers altogether. A growing crop of entrepreneurs are focusing on building tools for businesses. "The willingness of the enterprise to innovate is really good right now," said David Tisch, managing partner at investment firm BoxGroup. "Younger people who have grown up with consumer technology are now the bulk of the employees at big companies, so their expectations for software are different." That means the era of "the hot new app" is history. Today, some of the most successful startups are ones you've never heard of. Perhaps the best example is Box, a secure file sharing service for businesses. What started as a scrappy startup eight years ago has turned into full-fledged company with 700 employees and a billion dollar valuation. The company recently announced plans to focus on overseas expansion. Box CEO Aaron Levie says the company he founded is growing revenue at 150% annually and now serves 150,000 businesses. He believes business-to-business is a new frontier in which startups will thrive. "Most businesses will radically change in the next five years because of how much technology is now available to them," Levie says. "Instead of just the largest companies having the best access to tools and information, every business in the world will become closer to their customers, partners, and employees." The startup bubble hasn't burst. It has only expanded into new, uncharted territories.